My current stage of motherhood goes something like: breastfeeding Ivy while spooning food into another baby’s mouth, and taking bites of my cold leftover lunch. Squeezing in a shower during nap times and rewashing the laundry I forgot about yesterday. Sometimes serving my family a well thought-out crock pot meal I made hours earlier - other times heating up tomato soup and grilled cheese at 8 pm after the babes are asleep. Squeezing in a shower during nap times and rewashing the laundry I forgot about yesterday. Sometimes serving my family a well thought-out crock pot meal I made hours earlier - other times heating up tomato soup and grilled cheese at 8 pm after the babes are asleep. 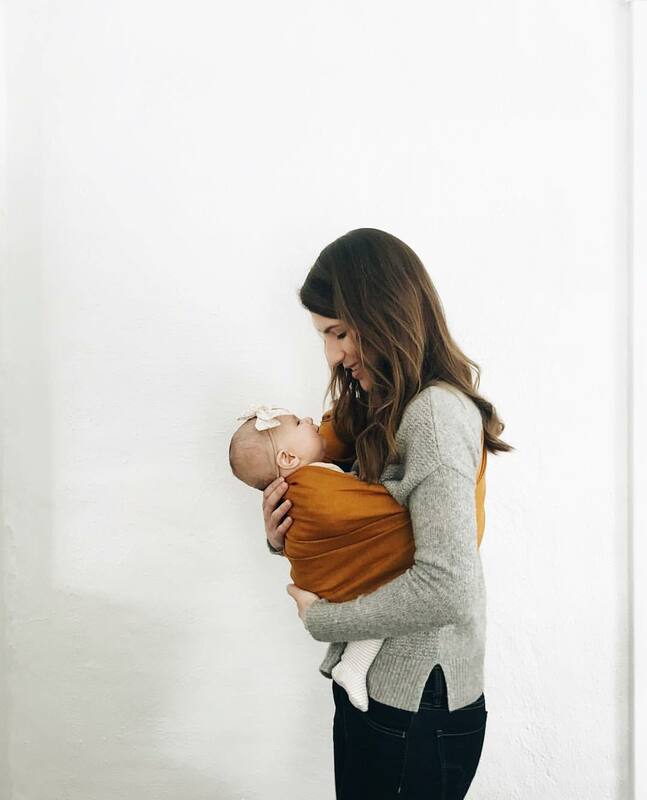 During this season I’ve fallen in love with babywearing all over again. Ivy can nurse in the sling and I still have my hands free to sing songs and practice baby sign language with another child. Whenever I’m out in public, people tell me that it looks like I have my hands full. Which is literally true. Hands full / ring sling full / stroller full - and heart overflowing.